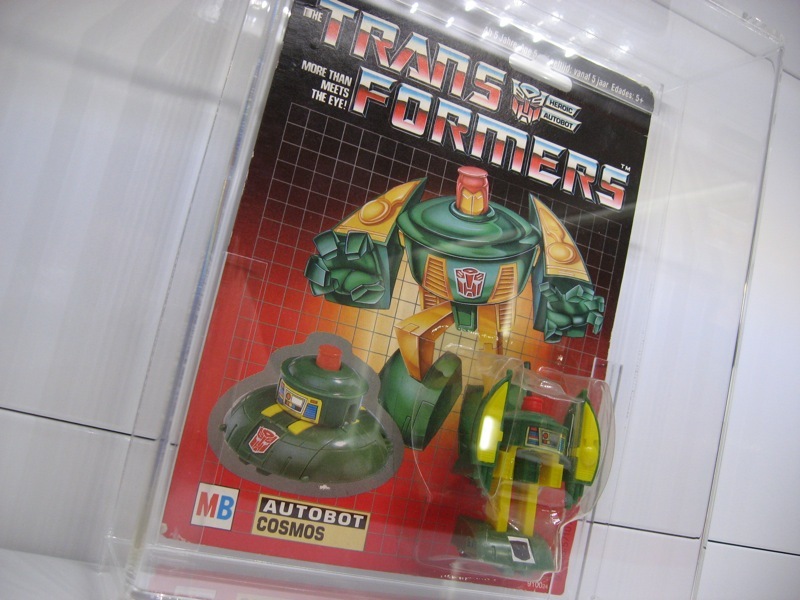 A couple of months ago I picked up this very nice MOSC (mint on sealed card) Cosmos from the G1 (Generation 1) Transformers line. 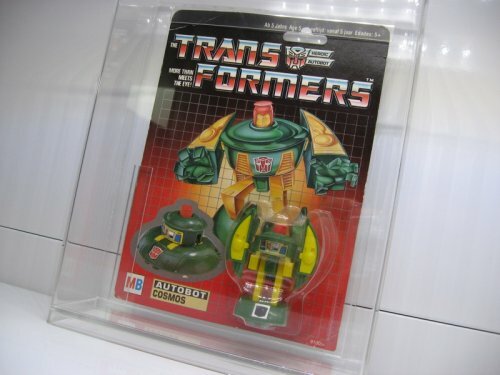 As with most G1 Transformers that I have in my collection, this is the MB version that was released in 1985 in mainland Europe. 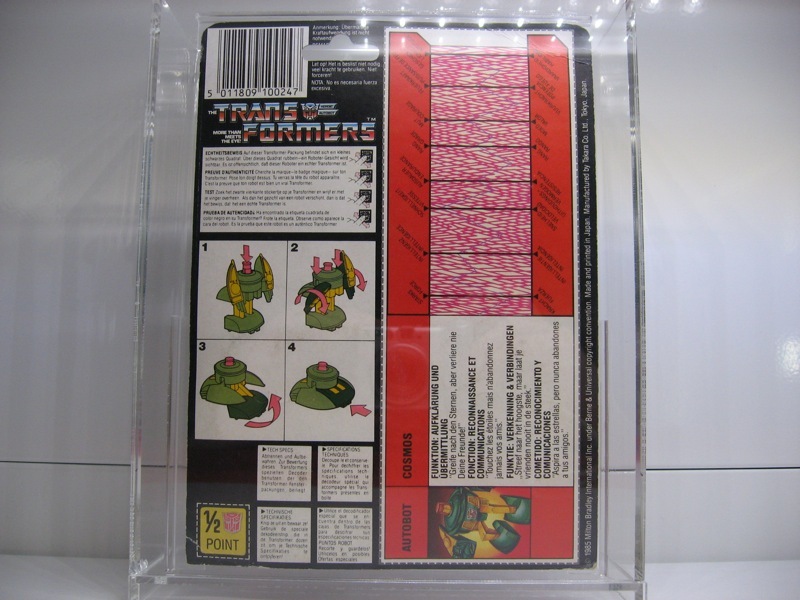 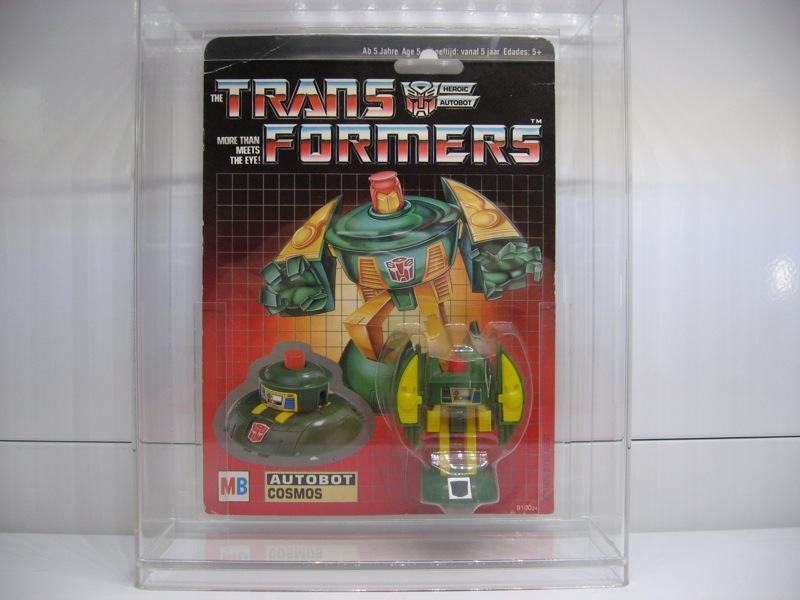 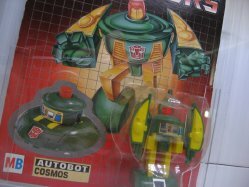 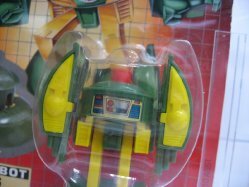 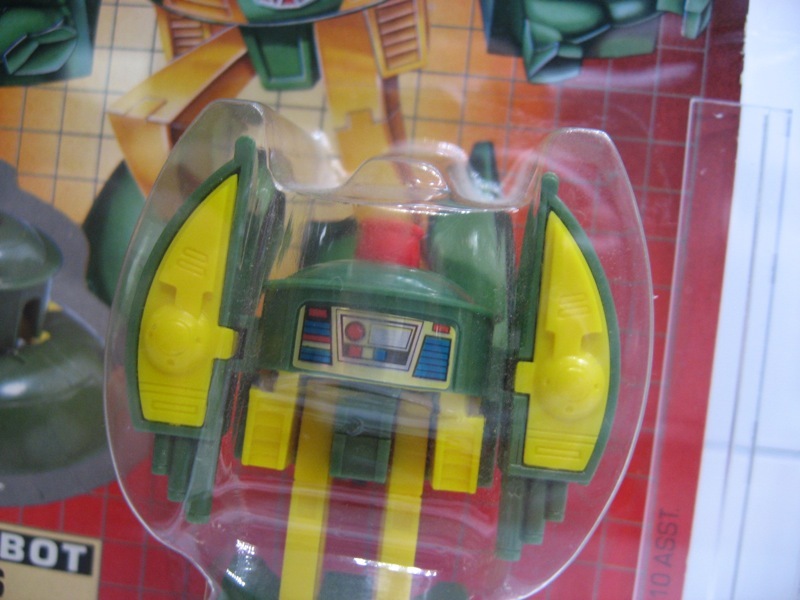 Cosmos is part of the second series of mini vehicles released in the U.S., but part of the first series of Transformers released in mainland Europe under the MB (Milton Bradley) brand. 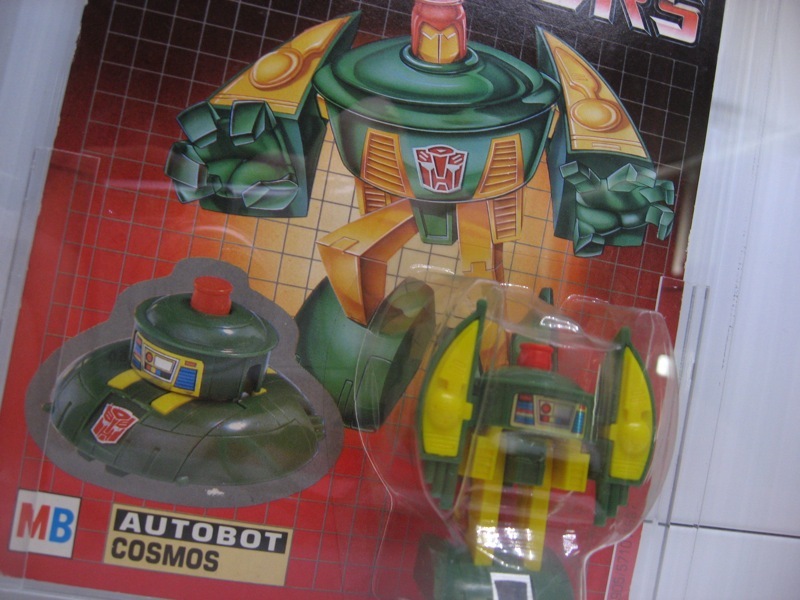 Like most of the other mini-vehicles Cosmos featured pretty often in the Sunbow cartoon and was quite the likeable character. 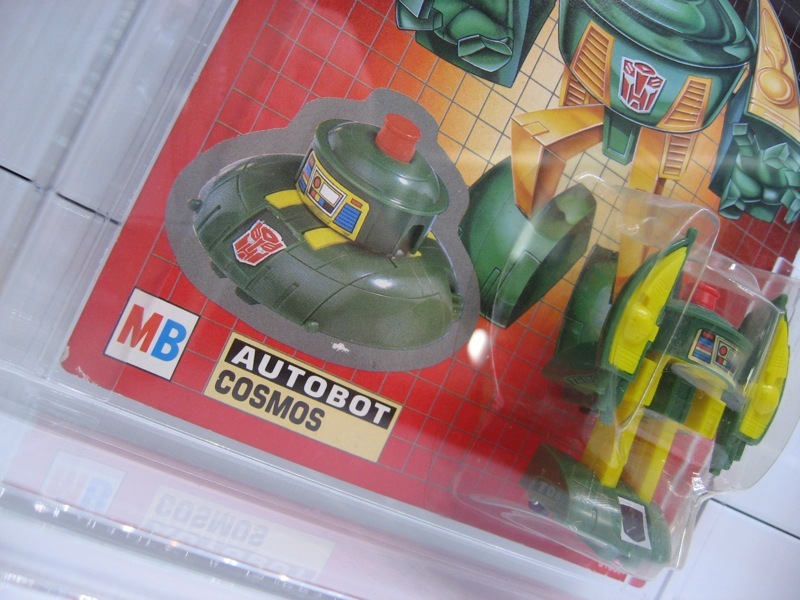 Cosmos’ alternate mode is based on the Adamski type UFO, named after George Adamski, the man who made the now famous 1952 UFO photograph. 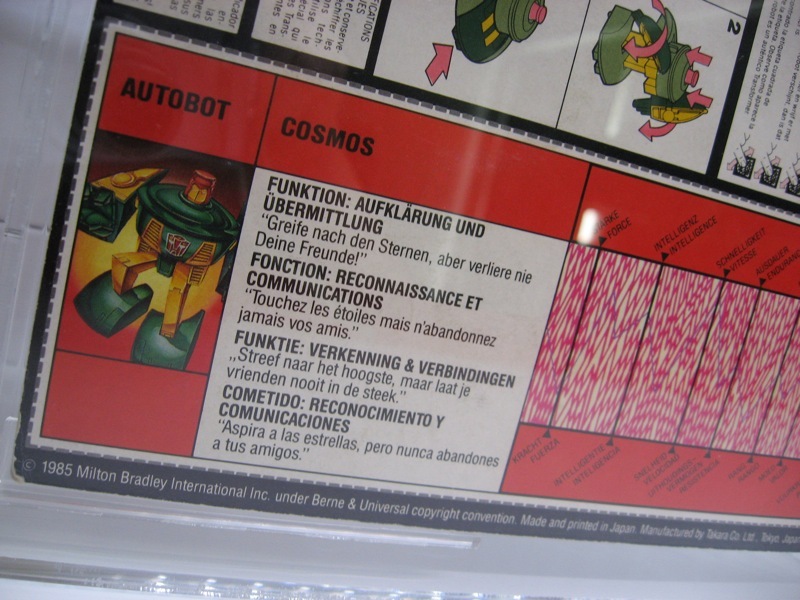 I found this item on a classified ads website. 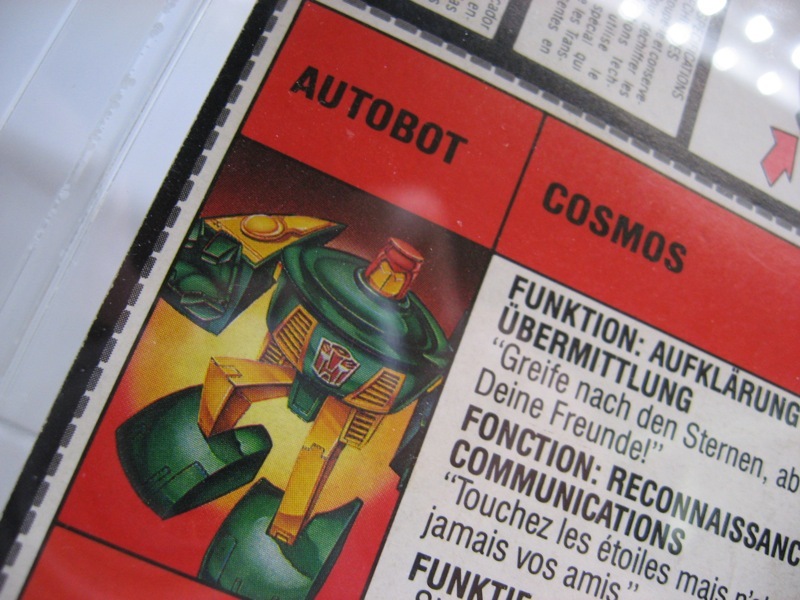 It’s in very nice condition, with just minor flaws on the card and the bubble still firmly attached to the card.